Fast, efficient, and easy research management. 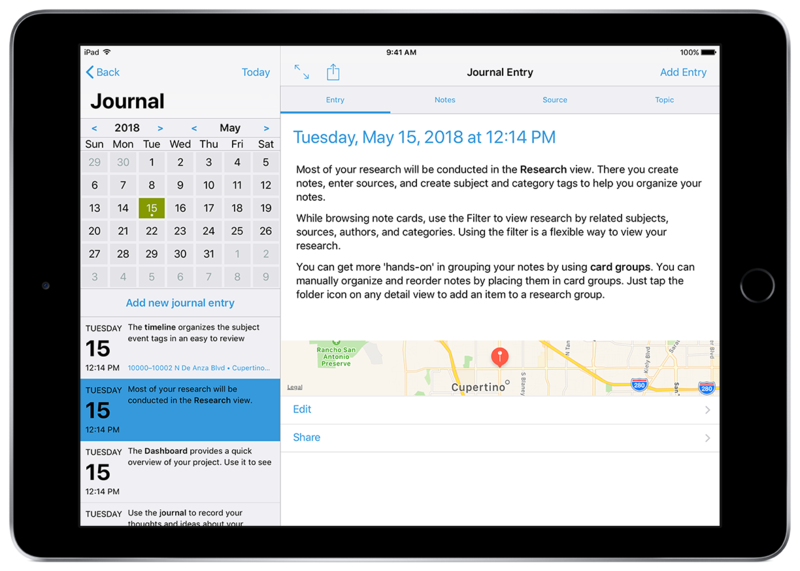 Stay organized and improve your research productivity with Ilaro, a research note taking database that combines the best features of note cards, research journals, and databases in one beautiful interface. 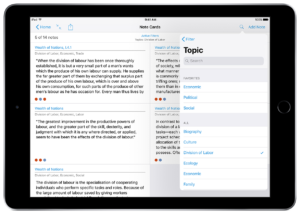 Ilaro makes it easier to organize research notes, develop new ideas, and write research reports. Used by students, professors, authors, and professionals, Ilaro saves time and gets the most out of your research. Tap “+” to create a new project. 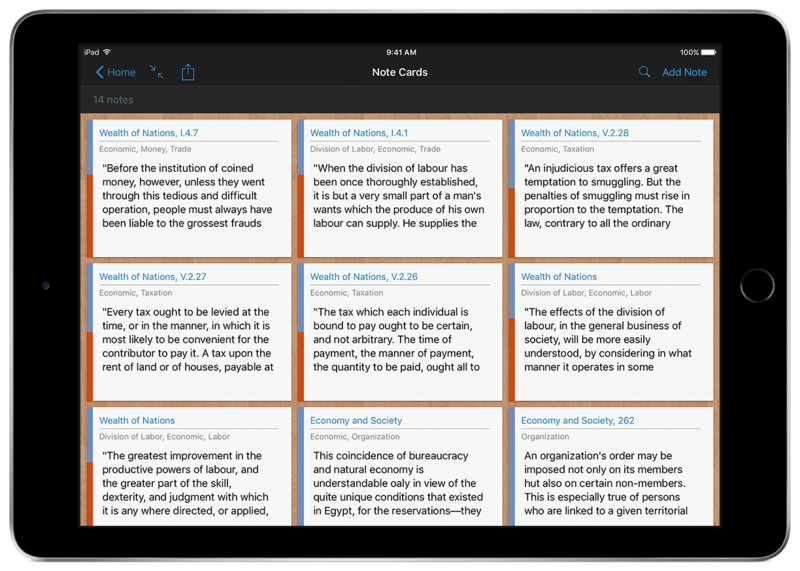 Tap the “Notes” section to enter the note card grid. Tap “Add Note” to take a note. It’s that simple. 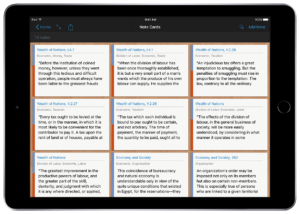 You can create specific note cards for sources, authors, and subjects all in the same efficient workflow for taking notes! Ilaro will keep track of how your notes and note cards relate to each other, making it easier and faster to review your notes and think about your research. You can even dictate your notes on iOS devices that support dictation. 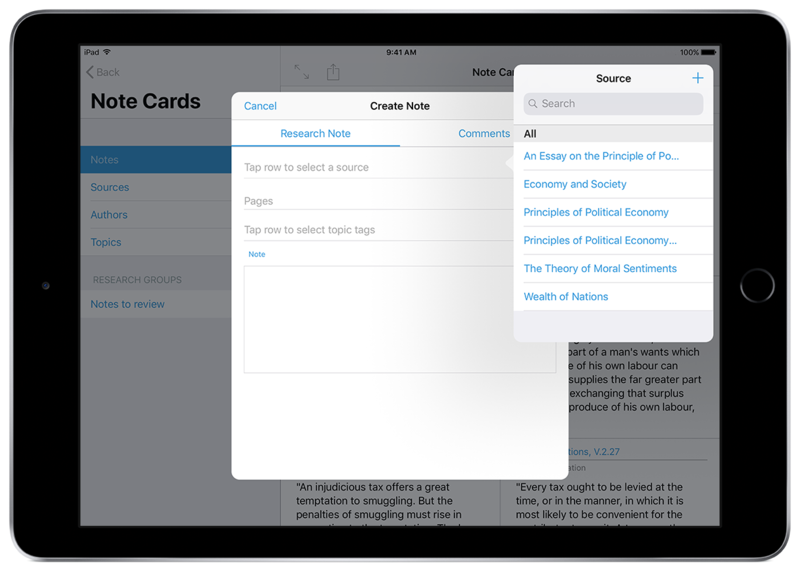 Simply tap on a note card to quickly browse related notes, subjects, sources, and authors. Ilaro searches its database to show relevant related data, making your job as a researcher even easier. 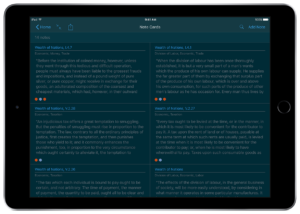 Ilaro’s note browser makes it easy to review, write-up, and present your research. Subject cards display the most commonly related topics, events, people, ideas, and research topics as they are used in your note taking. 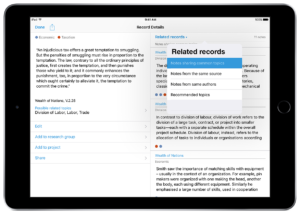 Track relationships between your research notes at a glance. Ilaro makes tracking your keywords, subjects, authors, and sources as simple as selecting items from a list. The tagging system helps keep your research notes organized, saving you time when it is time to review and write. 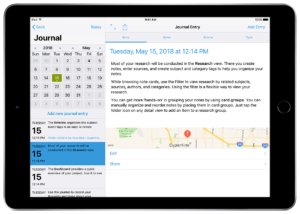 Use the research journal to store records of your activities, research questions, hypotheses, or anything else you’d like to keep separate from your notes and citations. Each journal date displays a list of the note cards created on the same day as the entry! 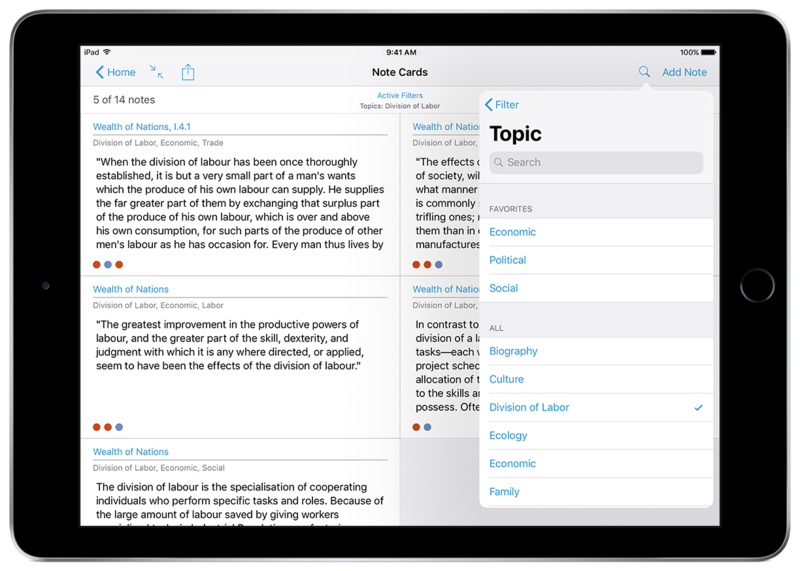 Structure and organize your research using subject and category tags. Using custom tags to allows you to tailor Ilaro towards your research. Use Ilaro for any research project from writing business reports and preparing lectures to writing term papers and authoring books. Literature buff? 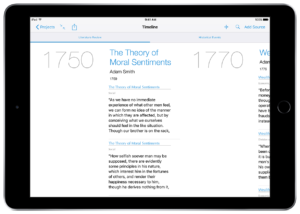 Easily add categories to track your themes, metaphors, and interests. In Ilaro, every project tracks its own unique set of subjects and categories. Ilaro is a database focused on the specific needs of qualitative researchers and writers of research papers. Search your notes using the search bar and filter notes by any combination of subject, category, source, author, and format tags. Too many notes to see at once? Simply group your cards into manageable and re-orderable research groups to better keep track of your data. Ilaro simplifies database queries so you can focus on your content and find the notes that most matter to you. Have a set of subjects you want to track? Found a selection of filters that piques your interest? 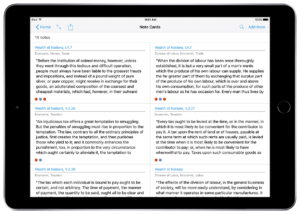 Simply create a smart filter to save automatically updating lists of research notes, sources, authors, and subjects. Keeping up with the most recent changes to your research has never been so simple. 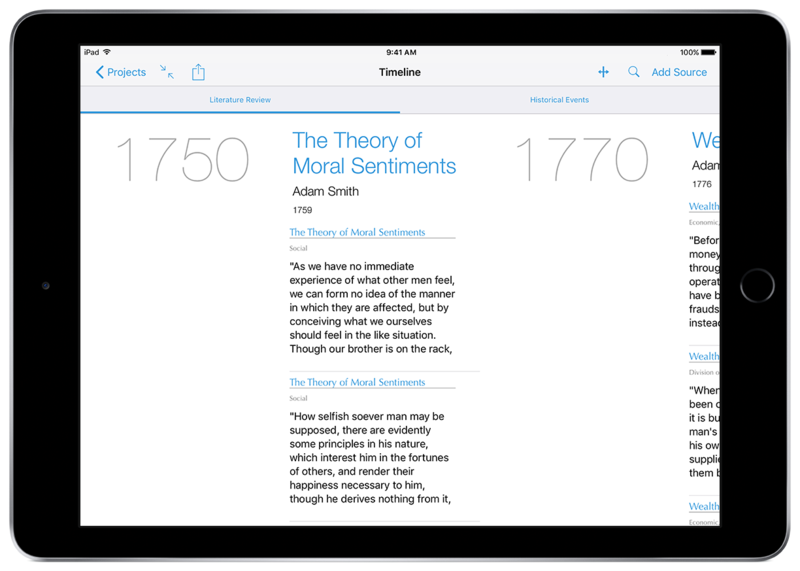 Switch to timeline mode to see your notes, subjects, sources, and authors laid out on a timeline. 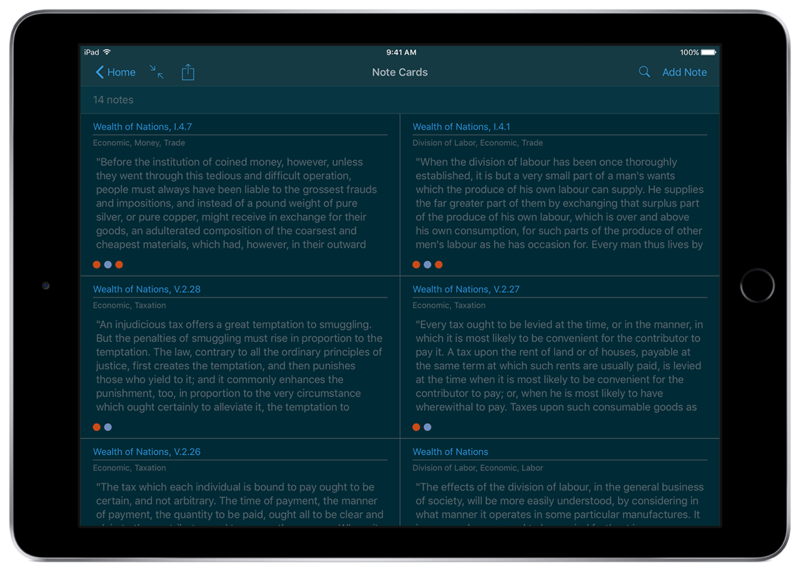 While viewing timelines you can still use Ilaro’s filters to explore how your notes and subjects relate to the events and times you research. You can even group events to make distinct timelines featuring only the events you care to see. Choose card to fit your personal preferences and needs. Or select on of the wood grain looks for their beauty or the dark theme for reading in dark environments. Get Ilaro on the App Store today.